Historians have long considered the ways in which the expansion of English trade beyond Europe in the seventeenth and eighteenth centuries contributed to the growth of English overseas trade as a whole, and to the coming of the Industrial Revolution. Their concentration on trade between England and her own colonies has led them, however, to neglect the importance of trade with the Spanish and Portuguese colonies in the Americas. Dr Fisher’s examination of Anglo-Portuguese trade between 1700 and 1770, and of the commercial links between the English North American colonies and Portugal, thus gives a wider perspective to our knowledge of the English ‘Commercial Revolution’. 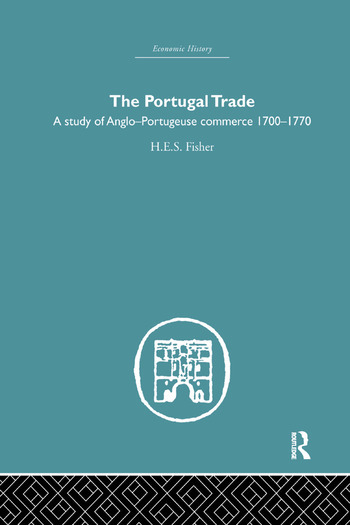 This study, based on a wide range of primary sources in England and Portugal, analyses the impressive growth of English trade with Portugal to 1760 and its subsequent decline in the 1760s, particular attention being given to the role of the Brazilian market and Brazilian gold-mining in these movements. The business practice of the merchants engaged in the principal constituent branches of the trade—textiles, foodstuffs, wines, and gold—is made clear and compared, while the characteristic instability of international commerce is borne out in the examination of the seasonal and yearly fluctuations which took place. On a more general level, the concluding chapter explores the relationship between the Portugal trade and the development of the English economy during this period. This book was first published in 1971.